I’m thrilled to finally bring you this top customer request – the beloved 4-pc. 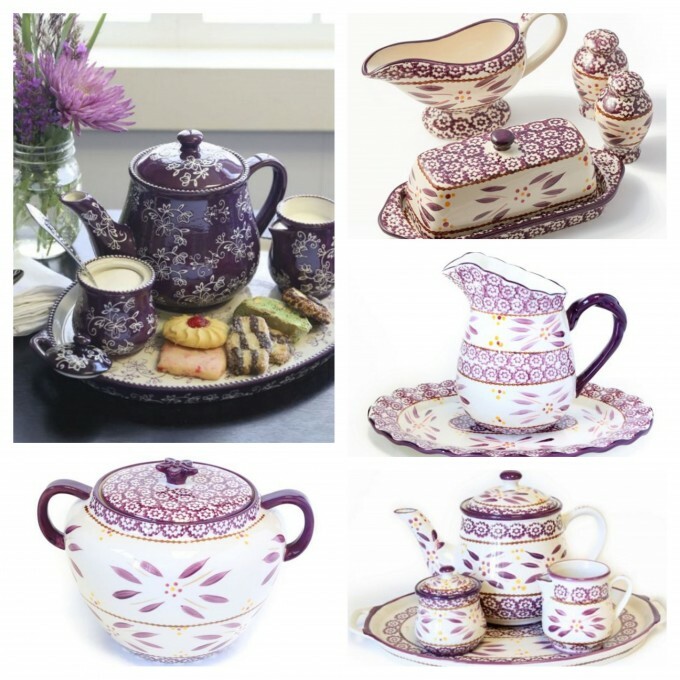 Tea Set, new in elegant Floral Lace. 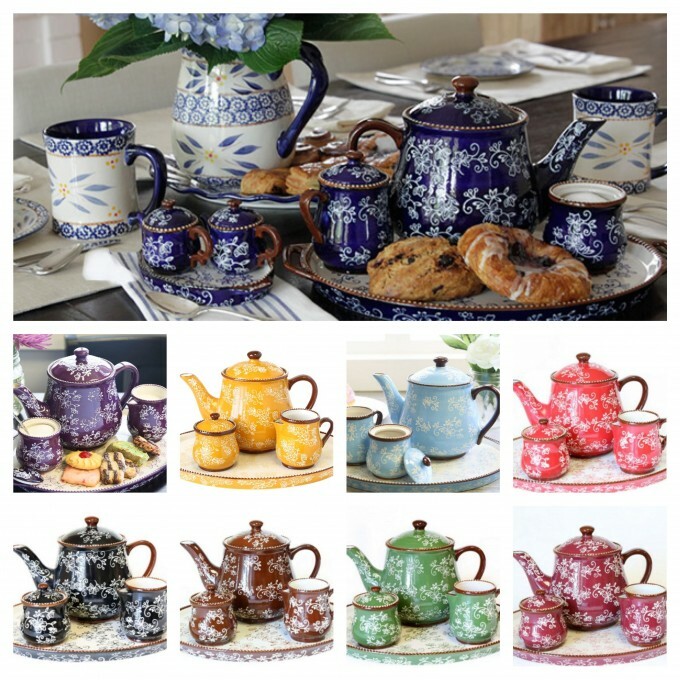 You’ve always loved it in Old World, and now it’s available for the first time ever in an array of gorgeous Floral Lace colors, including Eggplant and the brand new Fall color that features curling autumn leaves. 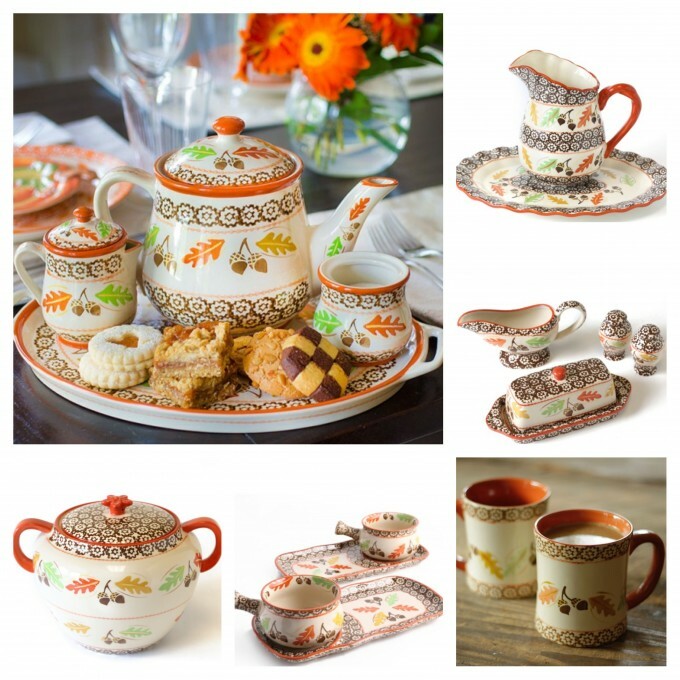 Cozy, inviting and perfect for fall entertaining, this beautiful tea set is a special treat to wake up to, and a lovely way to end a meal. I’m so looking forward to cooler temperatures and the changing of the leaves, aren’t you? And to help you really get in the mood, all of your fall favorites in Old World Harvest are now back in stock and ready to grace your countertops, buffet, hutch and dining table. From the best-selling 4-pc. 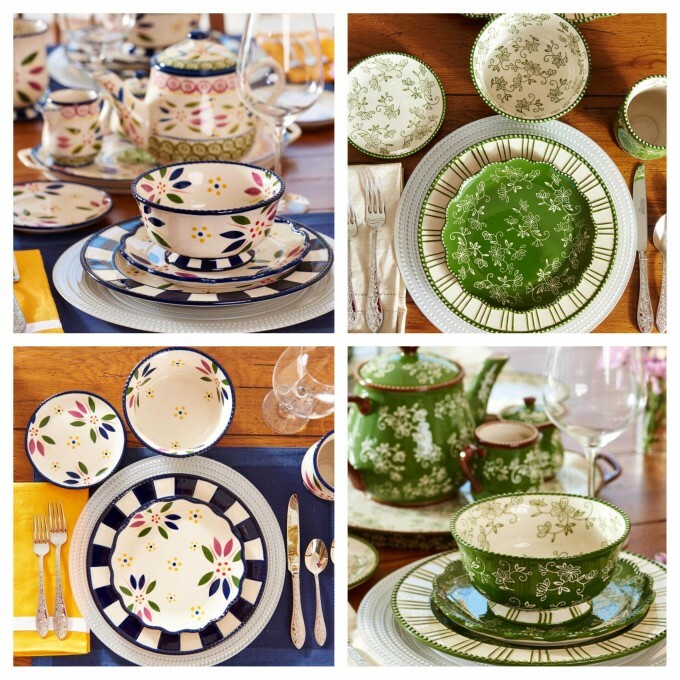 Tea Set and Pitcher & Platter Set, to the Soup & Sandwich Set, Dinner Table Completer Set and more, they’re just waiting to make the most of all your fall celebrations. And if you’re an Eggplant fan, you are so in luck Because many of these same fall favorites are also now available in my signature purple hue! Shop now. And last but certainly not least, all of you Nistas are going to be excited, too – because these oh so popular goodies are now available in Nista-fetti. A color combo created in honor of all the temp-tationistas and temp-tationisters out there who love all things temp-tations, it’s a combination of eggplant, hot pink and green. (It’s been super popular and has sold out quickly every time a new piece has arrived on temp-tations.com!) So hurry and shop now. Finally, you won’t want to miss my new Checks & Stripes pattern that’s available at QVC.com. 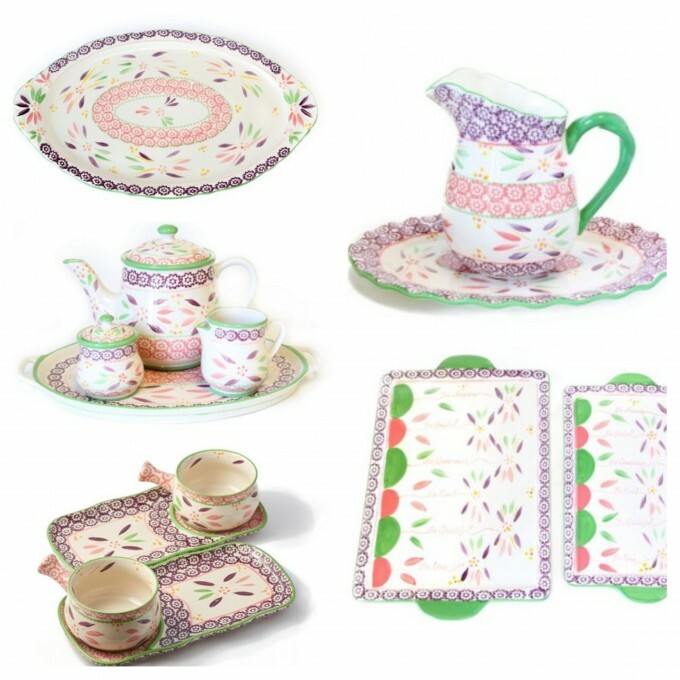 It mixes so well with all the traditional Old World and Floral Lace items you’ll find here at temp-tations.com, and it will add a bit of graphical fun and whimsy to your table!